Here is the list of Best Android phones with Fingerprint scanner / sensor under 25000 RS or USD $400 in India. Fingerprint sensor in makes it easy for the user to unlock the smartphone without entering the PIN or drawing pattern. 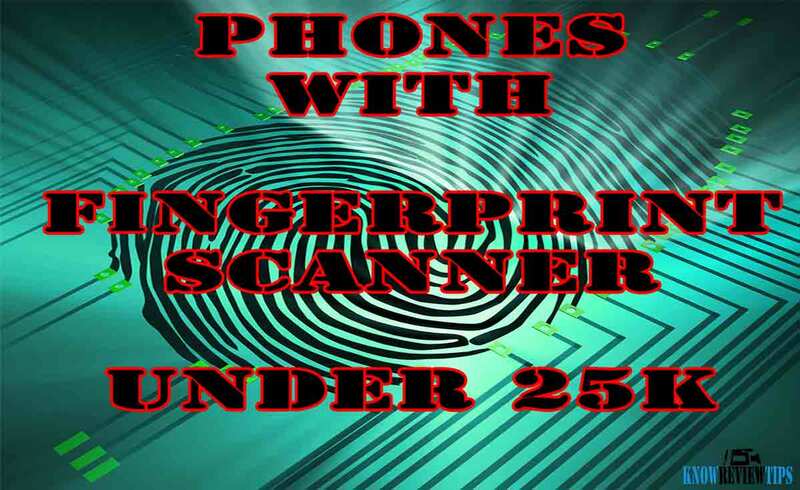 In 2016 fingerprint scanner on the phones will become huge attraction, so most of the phone manufacturers will add them in there upcoming devices. Xiaomi Pocophone F1 features a 6.18inch 1080 x 2246 pixels IPS LCD display. It draws the strength from 2.8 GHZ Octa-core CPU and 6GB of RAM. It is equipped a 12MP rear cam and a 20 Megapixel front camera for selfies. It is equipped with massive 4000mah battery. The MI Poco Phone F1 comes with 256 Gigs of ROM and is 8.8 mm thick. It is a DUAL SIM smartphone with 4G LTE connectivity. The specs also includes , infrared sensor and Fingerprint scanner. It is priced at RS 20999. ZUK Z1 features a 5.5inch 1920 x 1080 pixels IPS display. It draws the strength from 2.5 GHZ Quad-core CPU and 3GB of RAM. It is equipped a 13MP rear cam and a 8 Megapixel front camera for selfies. It is equipped with massive 4100mah battery. The Lenovo Z1 comes with 64 Gigs of ROM . It is a DUAL SIM smartphone with 4G LTE connectivity. The specs also includes Fingerprint scanner . It is priced at RS 18999. Xiaomi Redmi Pro features a 5.5inch 1080 x 1920 pixels OLED display. It draws the strength from 2.5 GHZ Deca-core CPU and 4GB of RAM. It is equipped a 13MP rear cam and a 5 Megapixel front camera for selfies. It is equipped with massive 4050mah battery. The MI Redmi Pro 2016020 comes with 64 Gigs of ROM and is 8.2 mm thick. It is a DUAL SIM smartphone with 4G LTE connectivity. Not just that, it also holds on , Fingerprint scanner and infrared sensor. It is priced at RS 19999. Samsung Galaxy C8 SM-C7100 features a 5.5inch 1080 x 1920 pixels Super AMOLED display. It draws the strength from 2.4 GHZ Octa-core CPU and 4GB of RAM. It is equipped a 13MP rear cam and a 16 Megapixel front camera for selfies. It has 3000mah battery. The Galaxy C8 SM-C7108 comes with 32 Gigs of ROM and is 7.9 mm thick. It is a DUAL SIM smartphone with 4G LTE connectivity. It also features Fingerprint scanner . It is priced at RS 21099. Xiaomi Mi 6 features a 5.15inch 1080 x 1920 pixels IPS LCD display. It draws the strength from 2.4 GHZ Octa-core CPU and 6GB of RAM. It is equipped a 12MP rear cam and a 8 Megapixel front camera for selfies. It has 3350mah battery. The Mi 6 comes with 128 Gigs of ROM and is 7.5 mm thick. It is a DUAL SIM smartphone with 4G LTE connectivity. It also features Fingerprint scanner, infrared sensor and NFC (Near field communication). It is priced at RS 20999. Samsung Galaxy J7 MAX SM-G615F/DS comes with a 5.7inch 1080 x 1920 pixels PLS screen. It is powered by 2.4 GHZ Octa-core CPU coupled with 4Gigs of RAM. It owns a 13Megapixel primary camera and a 13MP secondary camera. It houses 3300mah battery. The Galaxy J7 MAX SM-G615F DS, Galaxy ON MAX comes with 32GB of onboard storage and is 8.1 mm thick. It is a DUAL SIM smartphone with 4G LTE connectivity. Not just that, it also holds on Fingerprint scanner. You can buy it at INR 16999. Samsung Galaxy J7+ SM-C710F/DS comes with a 5.5inch 1080 x 1920 pixels Super AMOLED screen. It is powered by 2.4 GHZ Octa-core CPU integrated with 4Gigs of RAM. It owns a 13Megapixel primary camera and a 16MP secondary camera. It houses 3000mah battery. The Samsung Galaxy J7+ PLUS SM-C710F comes with 32GB of inbuilt storage and is 8 mm thick. It is a DUAL SIM smartphone with 4G LTE connectivity. Not just that, it also holds on Fingerprint scanner. You can buy it at INR 20999. Huawei Honor 7X BND-L21 features a 5.93inch 1080 x 2160 pixels IPS LCD display. It draws the strength from 2.36 GHZ Octa-core CPU and 4GB of RAM. It is equipped a 16MP rear cam and a 8 Megapixel front camera for selfies. It has 3340mah battery. The Honor 7X BND-AL10, TL10, L24, L21 comes with 64 Gigs of ROM and is 7.6 mm thick. It is a DUAL SIM smartphone with 4G LTE connectivity. The specs also includes Fingerprint scanner . It is priced at RS 15999. Samsung Galaxy C7 PRO SM-C710F features a 5.7inch 1080 x 1920 pixels Super AMOLED display. It draws the strength from 2.2 GHZ Octa-core CPU and 4GB of RAM. It is equipped a 16MP rear cam and a 16 Megapixel front camera for selfies. It has 3300mah battery. The Samsung Galaxy C7 PRO SM C710F comes with 64 Gigs of ROM and is 7 mm thick. It is a DUAL SIM smartphone with 4G LTE connectivity. It also features NFC (Near field communication) and Fingerprint scanner. It is priced at RS 24999. Xiaomi Mi 5C features a 5.15inch 1080 x 1920 pixels IPS LCD display. It draws the strength from 2.2 GHZ Octa-core CPU and 3GB of RAM. It is equipped a 12MP rear cam and a 8 Megapixel front camera for selfies. It has 2860mah battery. The Mi 5c comes with 64 Gigs of ROM and is 7.1 mm thick. It is a DUAL SIM smartphone with 4G LTE connectivity. The specs also includes Fingerprint scanner, infrared sensor and . It is priced at RS 15999. Samsung Galaxy C5 Pro SM-C5010 features a 5.2inch 1080 x 1920 pixels Super AMOLED display. It draws the strength from 2.2 GHZ Octa-core CPU and 4GB of RAM. It is equipped a 16MP rear cam and a 16 Megapixel front camera for selfies. It has 2600mah battery. The Galaxy C5 Pro SM-C501, SM-C5018 comes with 64 Gigs of ROM and is 7 mm thick. It is a DUAL SIM smartphone with 4G LTE connectivity. The specs also includes Fingerprint scanner and NFC (Near field communication). It is priced at RS 24999. Meizu MX5 features a 5.5inch 1920 x 1080 pixels AMOLED display. It draws the strength from 2.2 GHZ Octa-core CPU and 3GB of RAM. It is equipped a 20.7MP rear cam and a 5 Megapixel front camera for selfies. It has 3150mah battery. The MX5 comes with 64 Gigs of ROM and is 7.6mm thick. It is a DUAL SIM smartphone with 4G LTE connectivity. It also features Laser Auto focus and Fingerprint scanner. It is priced at RS 19999. Xiaomi Mi Note 3 features a 5.5inch 1080 x 1920 pixels IPS LCD display. It draws the strength from 2.2 GHZ Octa-core CPU and 6GB of RAM. It is equipped a 12MP rear cam and a 16 Megapixel front camera for selfies. It has 3500mah battery. The Mi Note 3 comes with 128 Gigs of ROM and is 7.6 mm thick. It is a DUAL SIM smartphone with 4G LTE connectivity. Apart from the above specs it also features Fingerprint scanner, infrared sensor and NFC (Near field communication). It is priced at RS 16999. Xiaomi Mi 5s features a 5.15inch 1080 x 1920 pixels IPS LCD display. It draws the strength from 2.15 GHZ Quad-core CPU and 4GB of RAM. It is equipped a 12MP rear cam and a 4 Megapixel front camera for selfies. It has 3200mah battery. The Mi 5s comes with 128 Gigs of ROM and is 8.3 mm thick. It is a DUAL SIM smartphone with 4G LTE connectivity. Apart from the above specs it also features Fingerprint scanner, Optical image stabilization (OIS) and NFC (Near field communication). It is priced at RS 22999. LeEco Le Max 2 X821 comes with a 5.7inch 1440 x 2560 pixels LTPS IPS LCD screen. It is powered by 2.15 GHZ Quad-core CPU integrated with 4Gigs of RAM. It owns a 21Megapixel primary camera and a 8MP secondary camera. It houses 3100mah battery. The LeTv Le Max 2 X821 comes with 32GB of onboard storage and is 8 mm thick. It is a DUAL SIM smartphone with 4G LTE connectivity. It also features NFC (Near field communication), infrared sensor, Optical image stabilization (OIS) and Fingerprint scanner. You can buy it at INR 22999. Samsung Galaxy On7 2016 SM-G6100 features a 5.5inch 1080 x 1920 pixels Capacitive display. It draws the strength from 2 GHZ Octa-core CPU and 3GB of RAM. It is equipped a 13MP rear cam and a 8 Megapixel front camera for selfies. It has 3300mah battery. The Galaxy On7 2016 SM-G6100 comes with 32 Gigs of ROM and is 8 mm thick. It is a DUAL SIM smartphone with 4G LTE connectivity. Not just that, it also holds on Fingerprint scanner. It is priced at RS 15999. Asus Zenfone 3 ZE552KL comes with a 5.5inch 1080 x 1920 pixels Super IPS+ screen. It is powered by 2 GHZ Octa-core CPU integrated with 4Gigs of RAM. It owns a 16Megapixel primary camera and a 8MP secondary camera. It houses 3000mah battery. The Zenfone 3 ZE552KL comes with 64GB of onboard storage and is 7.7 mm thick. It is a DUAL SIM smartphone with 4G LTE connectivity. Not just that, it also holds on Laser Auto focus, infrared sensor, Fingerprint scanner and Optical image stabilization (OIS). You can buy it at INR 19499. YU YUTOPIA YU5050 features a 5.2inch 1440 x 2560 pixels IPS LCD display. It draws the strength from 2 GHZ Octa-core CPU and 4GB of RAM. It is equipped a 21MP rear cam and a 8 Megapixel front camera for selfies. It has 3000mah battery. The Micromax YUTOPIA YU5050 comes with 32 Gigs of ROM and is 7.2 mm thick. It is a DUAL SIM smartphone with 4G LTE connectivity. The specs also includes Fingerprint scanner. It is priced at RS 24999. ZUK Z2 Z2131 features a 5.0inch 1080 x 1920 pixels LTPS IPS LCD display. It draws the strength from 2 GHZ Quad-core CPU and 4GB of RAM. It is equipped a 13MP rear cam and a 8 Megapixel front camera for selfies. It has 3500mah battery. The ZUK Z2 comes with 64 Gigs of ROM and is 8.5 mm thick. It is a DUAL SIM smartphone with 4G LTE connectivity. The specs also includes Fingerprint scanner. It is priced at RS 18499. Lenovo Vibe P2 P2a42 features a 5.5inch 1080 x 1920 pixels Super AMOLED display. It draws the strength from 2 GHZ Octa-core CPU and 4GB of RAM. It is equipped a 13MP rear cam and a 5 Megapixel front camera for selfies. It is equipped with massive 5100mah battery. The Vibe P2 P2a42 comes with 64 Gigs of ROM . It is a DUAL SIM smartphone with 4G LTE connectivity. It also features NFC (Near field communication), Fingerprint scanner and . It is priced at RS 18999. OUKITEL K10 features a 6inch 1080 x 2160 pixels IPS LCD display. It draws the strength from 2.0 GHZ Octa-core CPU and 6GB of RAM. It is equipped a 16MP rear cam and a 8 Megapixel front camera for selfies. It is equipped with massive 11000mah battery. The K10 comes with 64 Gigs of ROM and is 7.8 mm thick. It is a DUAL SIM smartphone with 4G LTE connectivity. The specs also includes Fingerprint scanner, NFC (Near field communication) and . It is priced at RS 16599. Asus Zenfone 3 ZE520KL comes with a 5.2inch 1080 x 1920 pixels Super IPS+ screen. It is powered by 2 GHZ Octa-core CPU coupled with 4Gigs of RAM. It owns a 16Megapixel primary camera and a 8MP secondary camera. It houses 2600mah battery. The Zenfone 3 ZE520KL comes with 64GB of inbuilt storage and is 7.7 mm thick. It is a DUAL SIM smartphone with 4G LTE connectivity. Not just that, it also holds on , infrared sensor, Laser Auto focus, Optical image stabilization (OIS) and Fingerprint scanner. You can buy it at INR 23999. Huawei G9 Lite features a 5.2inch 1080 x 1920 pixels IPS LCD display. It draws the strength from 2 GHZ Octa-core CPU and 3GB of RAM. It is equipped a 13MP rear cam and a 8 Megapixel front camera for selfies. It has 3000mah battery. The G9 Lite comes with 16 Gigs of ROM . It is a DUAL SIM smartphone with 4G LTE connectivity. Not just that, it also holds on Fingerprint scanner . It is priced at RS 16499. Xiaomi Mi Max 2 features a 6.44inch 1080 x 1920 pixels IPS LCD display. It draws the strength from 2.0 GHZ Octa-core CPU and 4GB of RAM. It is equipped a 12MP rear cam and a 5 Megapixel front camera for selfies. It is equipped with massive 5300mah battery. The Mi Max 2 128GB comes with 128 Gigs of ROM and is 7.6 mm thick. It is a DUAL SIM smartphone with 4G LTE connectivity. Not just that, it also holds on infrared sensor, Fingerprint scanner and . It is priced at RS 17999. ZTE Nubia N1 comes with a 5.5inch 1080 x 1920 pixels IPS LCD screen. It is powered by 2 GHZ Octa-core CPU coupled with 3Gigs of RAM. It owns a 13Megapixel primary camera and a 13MP secondary camera. It is equipped with massive 5000mah battery. The nubia N1 comes with 64GB of inbuilt storage . It is a DUAL SIM smartphone with 4G LTE connectivity. It also features Fingerprint scanner. You can buy it at INR 16999. Motorola Moto G5 Plus XT1686 features a 5.2inch 1080 x 1920 pixels IPS LCD display. It draws the strength from 2 GHZ Octa-core CPU and 3GB of RAM. It is equipped a 12MP rear cam and a 5 Megapixel front camera for selfies. It has 3000mah battery. The Moto G5 Plus XT1686 comes with 32 Gigs of ROM and is 7.7 mm thick. It is a DUAL SIM smartphone with 4G LTE connectivity. Not just that, it also holds on Fingerprint scanner, NFC (Near field communication), Waterproof and . It is priced at RS 18999. LeEco Le MAX X900 features a 6.33inch 1440 x 2560 pixels IPS LCD display. It draws the strength from 2 GHZ Octa-core CPU and 4GB of RAM. It is equipped a 21MP rear cam and a 4 Megapixel front camera for selfies. It has 3400mah battery. The Letv Le MAX X900 comes with 64 Gigs of ROM and is 9 mm thick. It is a DUAL SIM smartphone with 4G LTE connectivity. Apart from the above specs it also features infrared sensor, Fingerprint scanner and NFC (Near field communication). It is priced at RS 19999. Ulefone Future features a 5.5inch 1080 x 1920 pixels in-Cell display. It draws the strength from 1.95 GHZ Octa-core CPU and 4GB of RAM. It is equipped a 16MP rear cam and a 5 Megapixel front camera for selfies. It has 3000mah battery. The Future comes with 32 Gigs of ROM and is 7 mm thick. It is a DUAL SIM smartphone with 4G LTE connectivity. It also features Fingerprint scanner, Laser Auto focus and . It is priced at RS 15999. Samsung Galaxy A7 (2017) SM-A720F/DS comes with a 5.7inch 1080 x 1920 pixels Super AMOLED screen. It is powered by 1.9 GHZ Octa-core CPU integrated with 3Gigs of RAM. It owns a 16Megapixel primary camera and a 16MP secondary camera. It houses 3600mah battery. The Galaxy A7 (2017) SM-A720F/DS comes with 32GB of inbuilt storage and is 7.9 mm thick. It is a DUAL SIM smartphone with 4G LTE connectivity. The specs also includes , NFC (Near field communication), Dust and Water proof and Fingerprint scanner. You can buy it at INR 20990.